Be the first to share your favorite memory, photo or story of Antonia "Toni". This memorial page is dedicated for family, friends and future generations to celebrate the life of their loved one. Antonia “Toni” King, 96, of Grand Island, Nebraska passed away on Sunday, November 25, 2018 at Tiffany Square Care Center. Funeral Services will be 11:00 AM Friday, November 30, 2018 at Livingston-Sondermann Funeral Home with Chaplain Michael Koenig officiating. Visitation will be one hour prior to service. Burial will be at Westlawn Memorial Park Cemetery in Grand Island. She was born on a farm near Comstock, NE in 1921 to Joe and Anna Lebruska. She graduated from Comstock High School in 1940. After graduation she worked at the Comstock Grocery.She married Ernie Michalski in 1940. They had two daughters. The couple moved to Grand Island, NE in 1948. They farmed in Elyria for a few years. They divorced in 1966. She later married Clayton King in 1971. She worked at the Gold Bond Gift Center from 1959-1972 and managed it for 10 years. 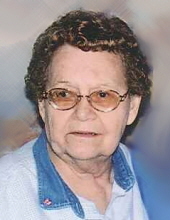 She enjoyed dancing, polka music, playing cards, fishing, her many pets, and being with her family. Survivors include her beloved husband, Clay; two daughters, Carol and Larry Bennett, of Omaha, NE, Sharlene Davenport and Blane Grovum, of Park Rapids, MN; four grandchildren, Ken and Kathy Brison, of Blair, NE, Joe and Renae Brison, of Omaha, NE, Natalie Davenport and Mike Guerro of Olympic Valley, CA, Ryan Davenport and Neha Trivedi, of Arlington Heights, IL; 15 great-great grandchildren; and many nieces, nephews, and friends. She was preceded in death by her parents; brothers, Anton, and Joe; sister, Anna Lilienthal. The family requests informal attire at the funeral service. Memorials are suggested to the family to be designated at a later date. Online condolences may be directed to www.livson.com. Livingston-Sondermann Funeral Home is entrusted with arrangements. To send flowers or a remembrance gift to the family of Antonia "Toni" King, please visit our Tribute Store. Visitation 1 Hour prior to service. "Email Address" would like to share the life celebration of Antonia "Toni" King. Click on the "link" to go to share a favorite memory or leave a condolence message for the family.